Hello! 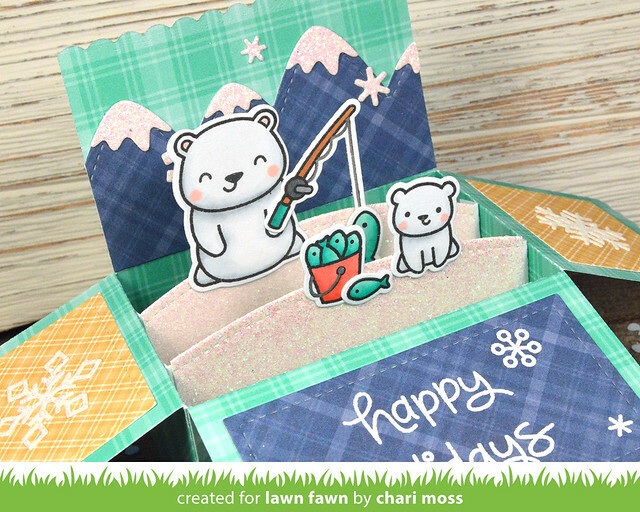 Today Lawn Fawn Inspiration week continues with Beary Happy Holidays. 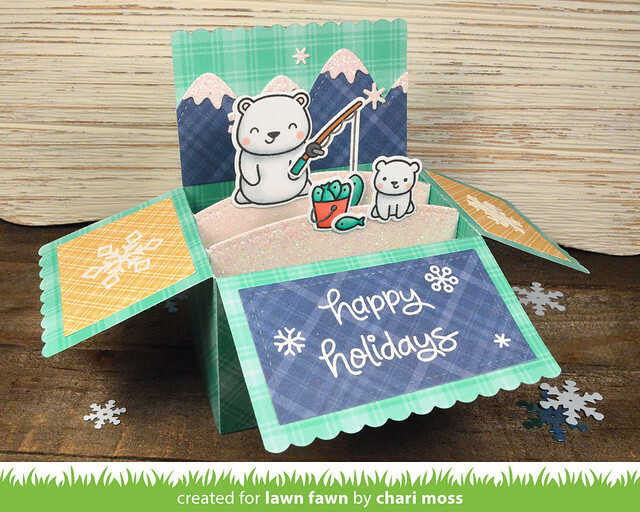 I created a Pop-up box card using Perfectly Plaid Chill papers along with this cute set. I colored the images with copic markers and used the coordination dies to cut them out. I also used the simple stitched hillside border dies to cut the glittery hills for the inside of my box. The sentiment is embossed with white Lawn Fawn embossing powder and the side panels are embellished with die cut snowflakes cut with the mini snowflakes dies. I added mountains to the back panel to create the background for my little scene. I love the glittery snowcaps to match the hills inside the box. 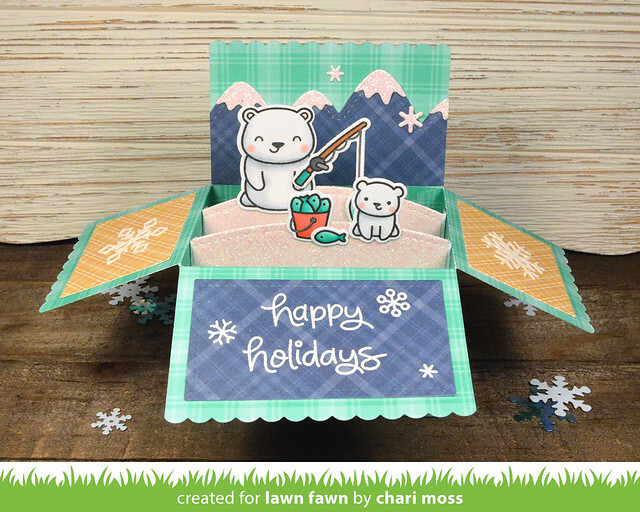 Be sure to check out the Lawn Fawn blog for more projects using Beary Happy Holidays. So cute, love these little pop up boxes! What a cute pop up box! And I love the plaid mountains!! Wow !! This is such a cool and lovely box !! Awww Chari, aren't pop up box cards fun to make?? AND, they are so cute too, very un-expected for the recipient. I love the bear fishing and the little one waiting patiently. LOL Too cute! Love the pop up box card! !